The Bank holiday was coming up, time for a bit of relaxation.....well not for some members of NRCC! 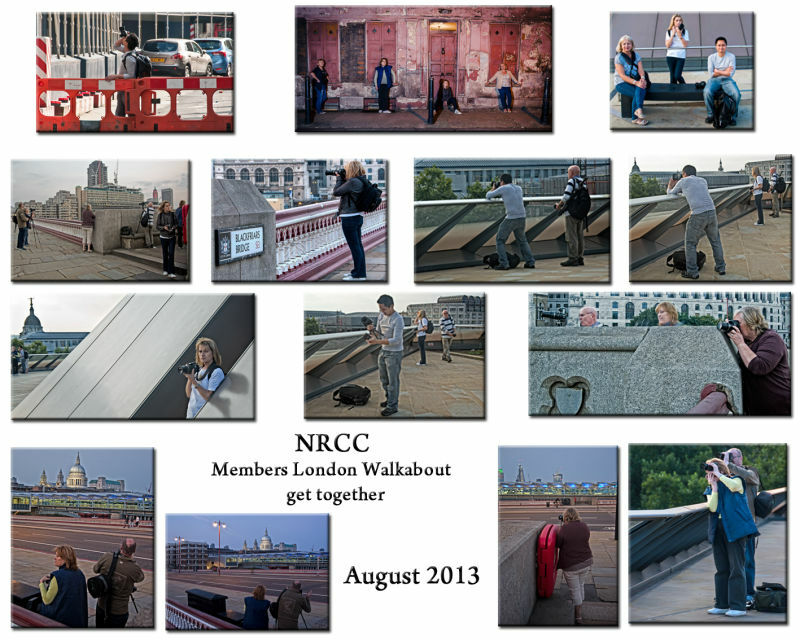 On a lovely end of August Sunday afternoon, a number of members were able to get together and take in some of the sights of London with 'photography' in mind. With guidance from more knowledgeable London based folks a great time was had by all. Sunset was eagerly awaited with the prospect of a stunning London skyline. Unfortunately it proved to be elusive but the consensus was that there will always be another time. When you are enjoying yourself time flies and home time was anything between a final 10pm to even later! A big thank you to those who organized the get together and to others who showed us previously unknown venues.